Rachel spent 10 years working for the BBC as a sound engineer and senior studio director on Radio 4’s flagship news programme, Today. Here she is as John Humphrys and Sarah Montague flagrantly ignore her instructions. Later Rachel co-produced the Vote Now Show on Radio 4 with Steve Punt and Hugh Dennis during the 2015 General Election. She worked as a research producer on the pilot of Spotlight Tonight with Nish Kumar and is on a one woman mission to stop people reading the Daily Mail. Rach is a comedian, producer and former studio director on Radio 4’s Today. 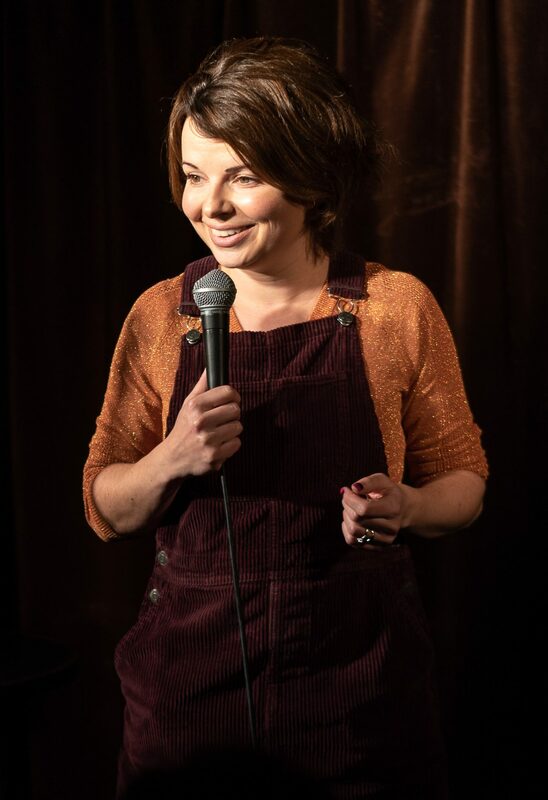 She runs Comedy at the Wheatsheaf, a mixed bill comedy night in glorious Tooting. She has a comedy science podcast, Level Up Human and is taking a show about bisexuality to the 2019 Edinburgh Fringe. She was shortlisted for the 2018 BBC New Comedy Award. Rachel has written for 4 Extra’s Newsjack, Radio 4’s News Quiz and Listen Against.